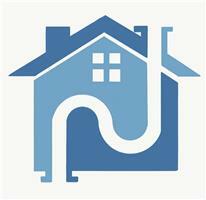 Tyrone Guy Ltd - Central Heating Engineer, Plumber based in Portsmouth, Hampshire. At Tyrone Guy Ltd we provide an efficient, cost effective and professional service to both domestic and commercial properties. We provide a full range of general plumbing and repair and are committed to delivering a high quality service at competitive prices to our customers and will always treat you, and your home with respect. So, whether you require simple plumbing, heating repairs or you're a landlord looking for a gas certificate - you can rely on us to arrive on time and help you out.